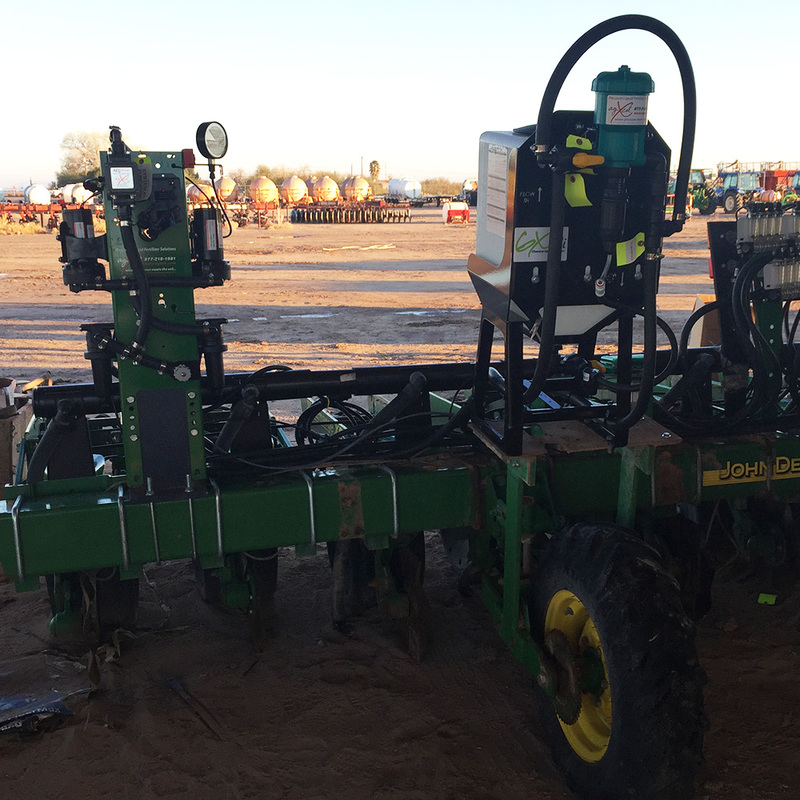 The AgXcel GX12i Precision Injection Solution is designed for the application of low volume pesticides, insecticides or any solution requiring a carrying agent. 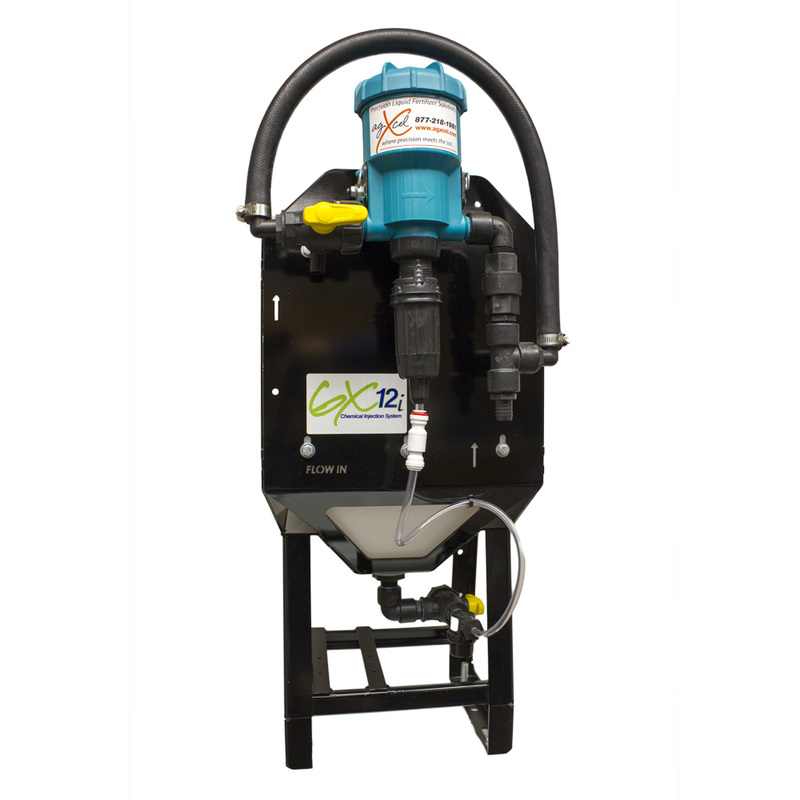 The GX12i does not require any electrical components to operate the injector system but uses the system pressure and volume of the existing pump system used for the carrier. 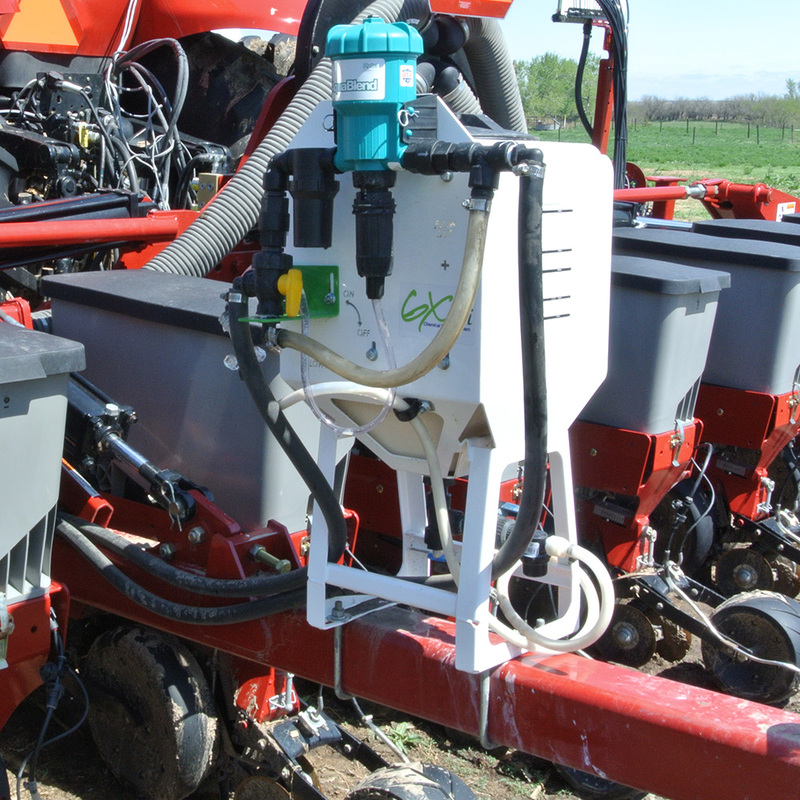 The GX12i works seamlessly with all AgXcel Precision Liquid Application Solutions. 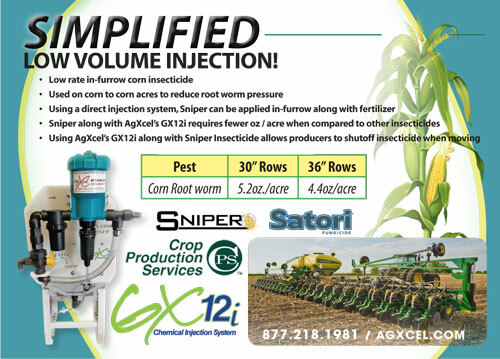 AgXcel is also working with Crop Production Services (CPS) to integrate the GX12i with their Insecticides. 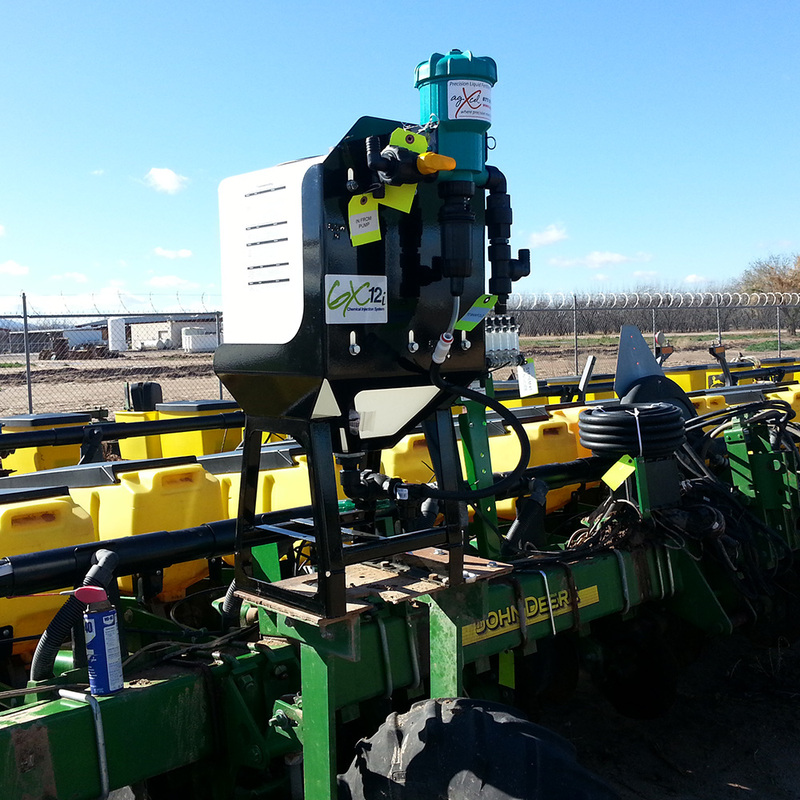 AgXcel has worked with CPS to simplify the need for Chemical Injection of their Insecticides. Plumbing the GX12i is as simple as it gets, the units main plumbing is completed at the factory and the end user is only required to place a feed hose from the existing pump system to feed the GX12i injector and then a return line back to the existing pump systems manifold or distribution center. 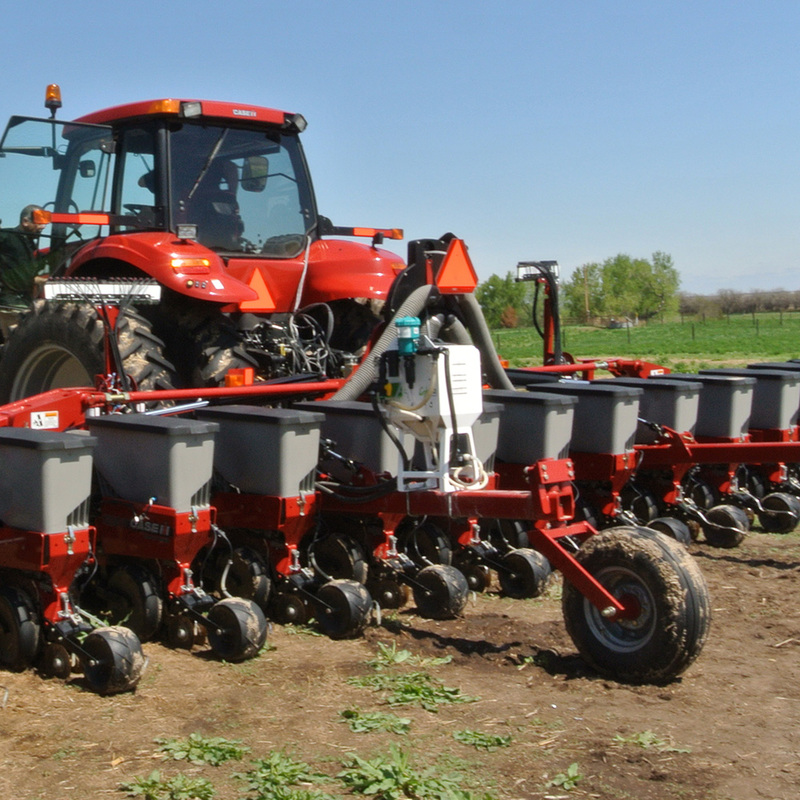 AgXcel recommends that no modifications are made to the unit as this will void the system warranty. 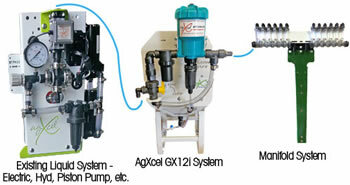 System flow check valves and ball valves are configured so that solution back flow or contamination is prevented.